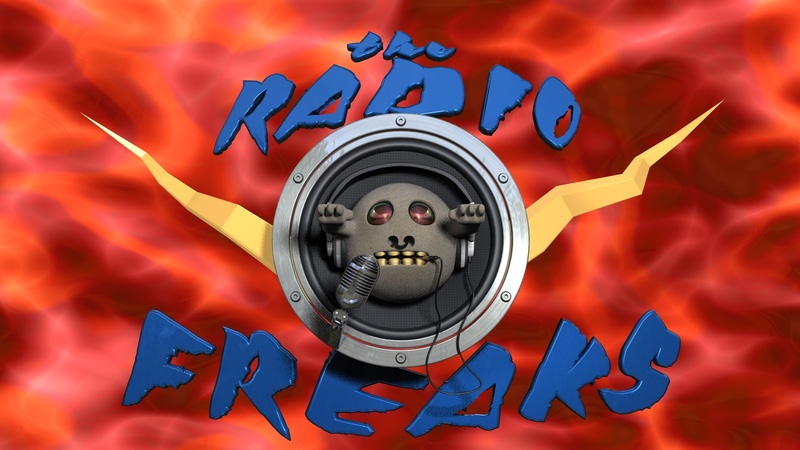 The Radio Freaks is a unique internet radio experience! Starting off as long time fans of The Opie and Anthony Show on SiriusXM Satellite Radio, two friends got together to put their spin on today hot topics, celebrity news, and just the random goings on in pop culture as well as highlighting the comedy scene in the NYC/NJ/PA area. Each week, John and Brian put on a show from two separate broadcasting locations to bring you the best in comedy talk radio. John, who lives on Long Island, NY, was previously one half of the very popular, “NoFate and Razor Show”, an internet sensation that broadcasted every Wednesday at 9pm ET. Brian, who was born and raised in New Jersey, now lives in the suburbs of Philadelphia, and owned and operated the famous BPSRadio.com, which boasted a listenership of thousands of people a day from all over the world. Brian was the Executive Producer for the “NoFate and Razor Show” and has teamed up with John to create a new concept called “The Radio Freaks”. Aired on BPSRadio.com and their UStream video feed every Wednesday at 9pm ET, they’ve taken over their old time slot from the “NoFate and Razor Show” and turned it into something their own. “The Radio Freaks” brings you today’s hottest comics and a spin on today’s serious and weird news topics, with funny points of view and commentary. John and Brian have enjoyed many guest phone interviews with nationally known comedians such as Robert Kelly, Jim Florentine, Ted Alexandro, Doogie Horner, Joe DeRosa, Ben Bailey from Discovery Channel’s “Cash Cab”, Rich Vos, Joe Matarese, Greg Fitzsimmons, “MadTV”‘s Arden Myrin, Nick DiPaolo, Heather Height, Mersh and Adam Ferrara from FX Channel’s “Rescue Me” and History’s “Top Gear”, just to name a few. With fans in England, The Netherlands, Germany, the former Soviet Union and of course all over the United States, they are quickly becoming a fan favorite with listeners all over the world! Follow the show on Twitter!! Follow the show on Facebook!! This is the best show on the internet! You guys are getting guests that most other podcasts only dream of! ROCK ON! I’m not much of a internet viewer actually but your own website is very great, keep writing! I’ll take note of your blog and visit down the road. All the best. Amazes me each week…the guests are awesome!!! !